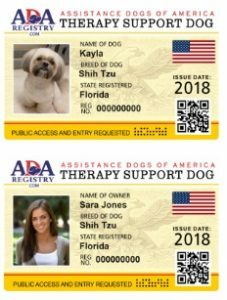 ADA Assistance Dog Registry | Register your Dog Online Instantly! 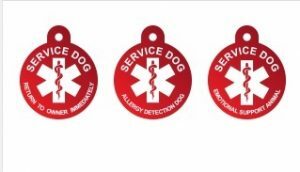 Instant Registration & Documentation For Your Assistance Dog. 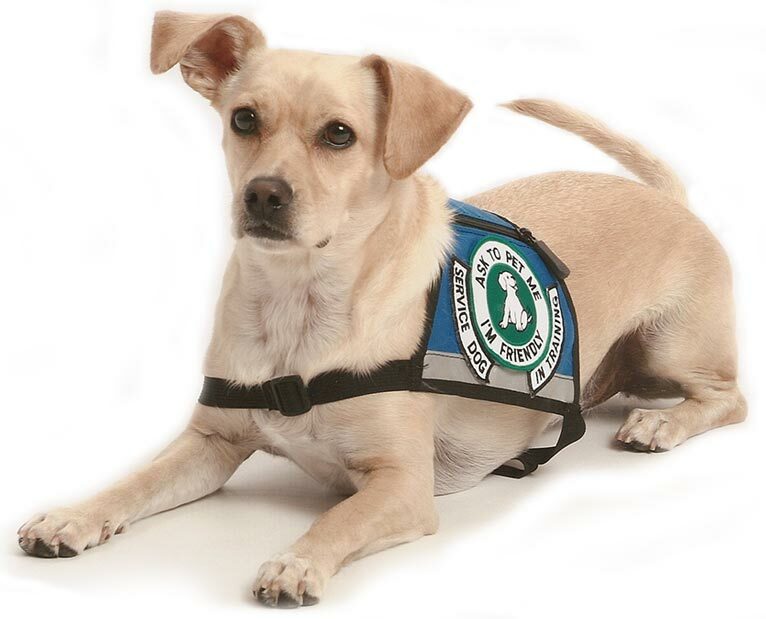 Assistance Dogs Of America is the answer to ending the frustration you feel as a person who relies on the comfort, support and therapeutic value of your beloved animal. More than just a pet, we understand that your trusted canine companion is a key part of your life. 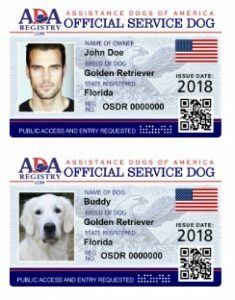 Officially qualify and register now — serve notice that the support your dog provides is essential to your quality of life. Proper identification and documentation is key to avoiding conflicts. Get Yours Instantly. 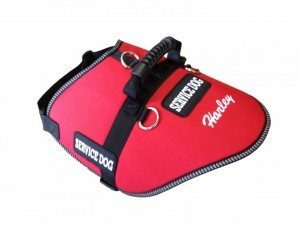 Most Common Reasons Listed For Service Dog Needs. Most Common Reasons Listed For Emotional Support Dog Needs. 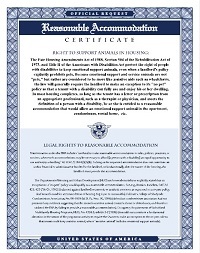 Emotional support are not required to be trained or perform any specific task. 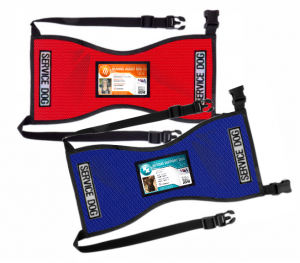 Companion Dogs do not require any specific training. 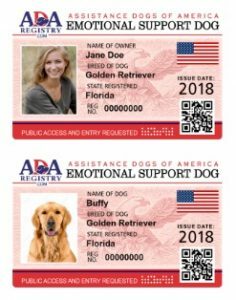 Easily create your dogs and/or Owners Service, Emotional Support Or Therapy Dog digital ID cards using our state of the art online id card maker . You can store your ID Card in your phone, computer or any other device for quick access plus you also receive a high quality physical card which normally ships the same business day. USA or Canada. 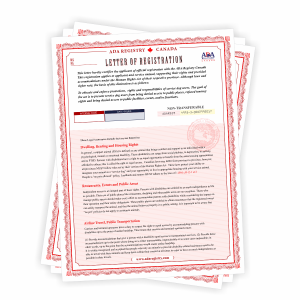 Get important documents needed in minutes. All your documentation such as your letter of registration, Reasonable housing certificate will always be available in your personal dashboard. Registrations can be looked up instantly by anyone you give your registration number to. 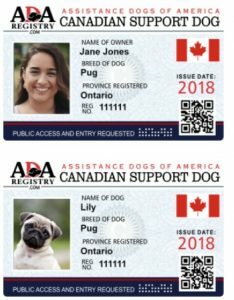 Within your dashboard you can add more dogs to your account,make additional id cards, order items such as vests, custom tags and other service animal related items. 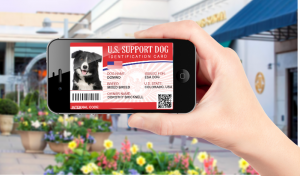 Once you complete the final steps you and your dog will be instantly verifiable by anyone you give your registration number to. 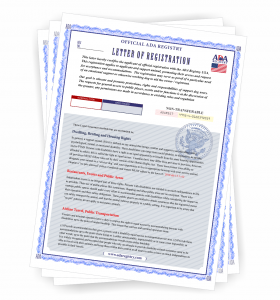 Your completed registration also includes unlimited access to our comprehensive information center. 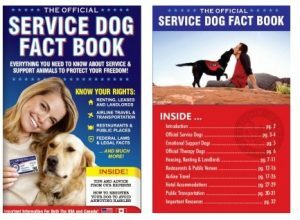 Whether you are flying, need to know the facts regarding your dog in public places. need to look up housing laws regarding your dog we have it.